Second graders in Mrs. Lewis and Mrs. Filarsky’s classes at North Hudson Elementary partnered with Family Fresh for the “Earth Day Bags” project. The project is done by students all over the United States to share and learn about Earth Day. Students decorated grocery bags for customers to use with environmental facts and suggestions to help us appreciate and take care of our Earth. On Friday, Hudson High School athletes came to share their experiences of teamwork and leadership with North Hudson K-2 students. The high schoolers also read books aloud and had conversations about applying these important skills to their own school experience. 2nd graders at North Hudson Elementary have been researching influential people and finished their unit by presenting a “Wax Museum.” Each student chose an influential person to research who has made an impact on the world. Students created posters and shared their learning with their classmates and teachers and posed as the influential people they’d studied. Some snow and all the winter gear doesn’t stop these North Hudson gymnasts! 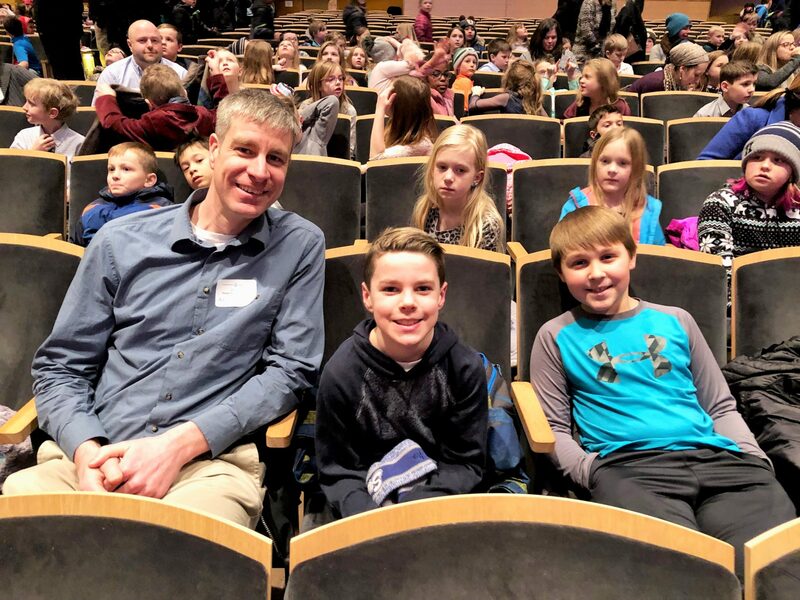 On Friday, February 8 North Hudson Elementary had award winning author Alan St Jean for a visit with all grade levels to learn about the writing process and what he has learned about the wonderful world of writing. On Friday North Hudson Elementary students participated in an All School Read In to kick of February’s I Love to Read Month. I Love to Read Month celebrates and promotes a love of reading and being read to. Students in grades K-5 laid out blankets in the gym and read with their book buddies and friends.